Ashley Freeman is a personal trainer who’s passion lies in motivating, educating and empowering others. She has a holistic approach to fitness and believes it is paramount to focus on the mind and soul as well as the body. 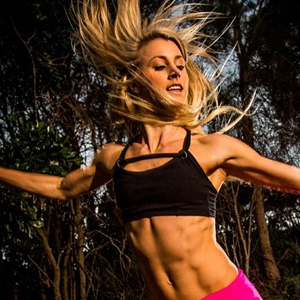 Ashley has had broad experience in the fitness industry including placing 2nd at national level in body sculpting, releasing her own ebook ‘Balanced Body Guidelines’, motivational speaking, personal training and modelling for brands such as Lorna Jane and Rebel Sport. You can expect some challenging yet rewarding bootcamp style workouts from Ashley. She loves to incorporate as many aspects of fitness as possible into her program’s including strength, flexibility and endurance. Ash will also be offering fantastic, energising Zumba classes on the retreat which are guaranteed to leave you smiling. Fitness should always be enjoyable, you’ll leave the retreat feeling strong and ready to take on your every day life.